1. Go to Action Menu of the story you want to edit. 2. Click on Edit option. 3. Do the required edits and changes. 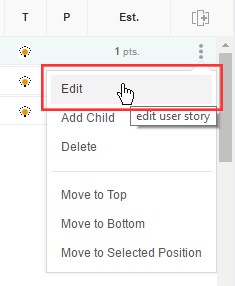 If you want to delete an existing story got to action menu and click on delete. Before deleting a story system will ask for confirmation.